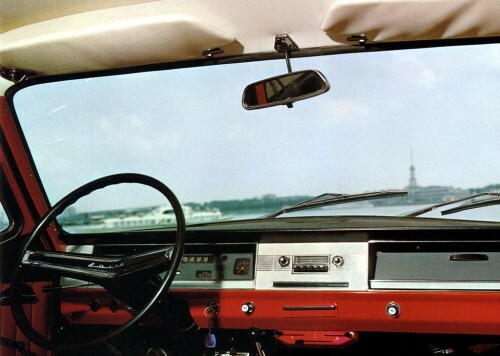 The Volga’s interior is not all too spacious by the standards of today – it is more or less Toyota Corolla or Chevy Cruze-sized, at least volume-wise; understandably, space utilization standards were vastly different back then. However, it is still roomy enough for five normal sized adults to sit relatively comfortably. And, being not cluttered with such space-robbing design elements as center console or thick door trim panels, it offers more actual space than you may expect for it’s volume. The trim is lowly, but practical and quite durable, in accordance with the car’s primary purpose as a taxicab. Thin roof pillars and a large glass area provide good visibility. The simple, minimalist dashboard featured symmetrical layout with all switchgear in one continuous horizontal strip at the bottom. The instrument cluster and glove box door could be easily swapped from one side to the other to produce left or right hand drive vehicles for different markets. Circular air vents helped to keep the front door glass from fogging up, and there was also a rear window defogger. Radio was standard equipment, except for the taxicabs, which were equipped with a taximeter instead. When the Volga was released in 1969, the dashboard was painted metal, with it’s flat top covered by black vinyl to prevent reflections in the windshield, and featured matte chrome trim. Switches were of the “pull-push-turn” type, with small round plastic knobs – black with ivory inserts. In the fall of 1977 this design gave way to a more modern plastic-covered dashboard, still with stamped metal frame under the soft padding. By this time, the matte chrome has been replaced by simulated wood grain. Several months before that the knobs had been replaced by larger ones, with rounded edges for added safety and larger, better visible pictogram. The instrument cluster incorporated five gauges – speedometer, ammeter, oil pressure, temperature and gas, as well as electric clocks and four warning lights – for turning signals, parking brake, low oil pressure and engine overheating. Ribbon type speedometer had been used initially, but early in 1975 it was replaced by a conventional square gauge with a needle pointer, which, while not as stylish, proved to be more durable as well as easier to read. Ventilation and heater/defroster controls were grouped on a small separate panel located under the dashboard in the middle. There were three slide levers (not clearly labeled) which controlled air baffles via cables. By pushing and pulling the lower-most lever, the heater could be set to heat the interior through air ducts behind the dashboard, to defrost the windshield and front door glass or to do both task at a time. The right-most lever controlled the flow of fresh outside air into the heater, which was mixed with hot air from the heater core to regulate the temperature, and the left-most one opened or closed the cold air ventilation hatch located in the cowl area. The blower switch was located separately from the other controls at the left side of the dashboard, between the windshield washer and manual choke knobs. Door interior trim panels were two-tone, with black upper sections and lower ones color-keyed to the interior. The upper sections which formed the top contour of the panels originally had been vinyl-covered metal stampings with soft foam rubber padding, and about 1976 they were substituted with plastic-covered parts. 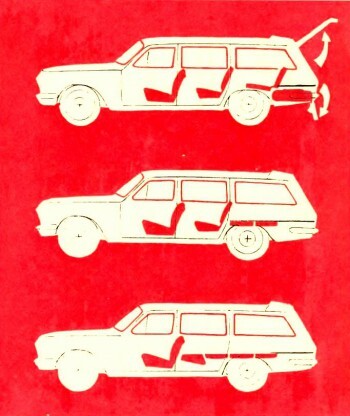 Lower sections differed on early and late production cars, too: being graced by simple vertical pleats until mid-1976, they recieved a more complicated horizontal pattern later. Their bottoms were protected from tear and wear by corrugated aluminum kick plates – as well as the door sills. Front doors had map pockets, albeit very small and suitable only to hold road maps or a slim book, like the Owner’s Manual. 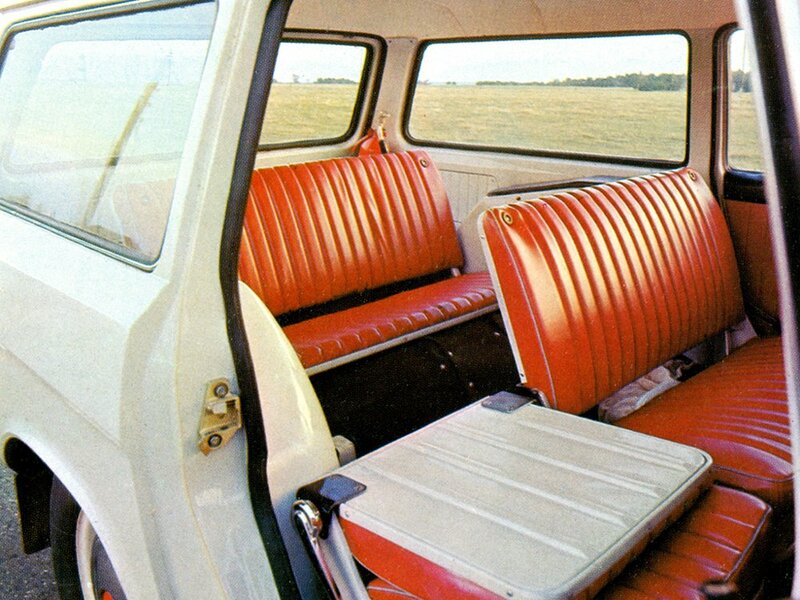 Early production cars featured a split front bench seat with folding center armrest and vynil & cloth upholstery, which was handsome and quite comfortable. Folding back against the rear cushion, it made a decent sleeping surface for the night, which was a nice touch as motels were pretty scarce to nonexistent back then. Rear seat was also equipeed with a center armrest. 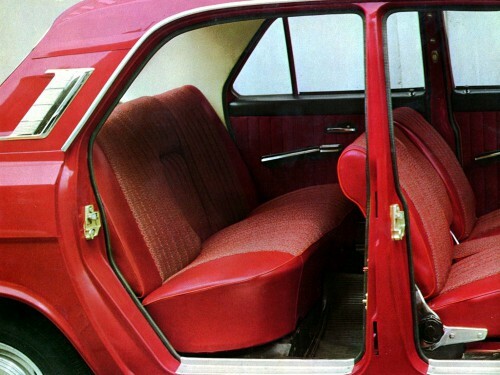 Early in 1977 the armrest and the “spacer” between driver’s and passenger’s seats were eliminated, thus forming two separate front seats, still with flat cushions and no lateral support to speak of. The style of upholstery was changed a little bit, too. However, the seat frames remained unchanged. 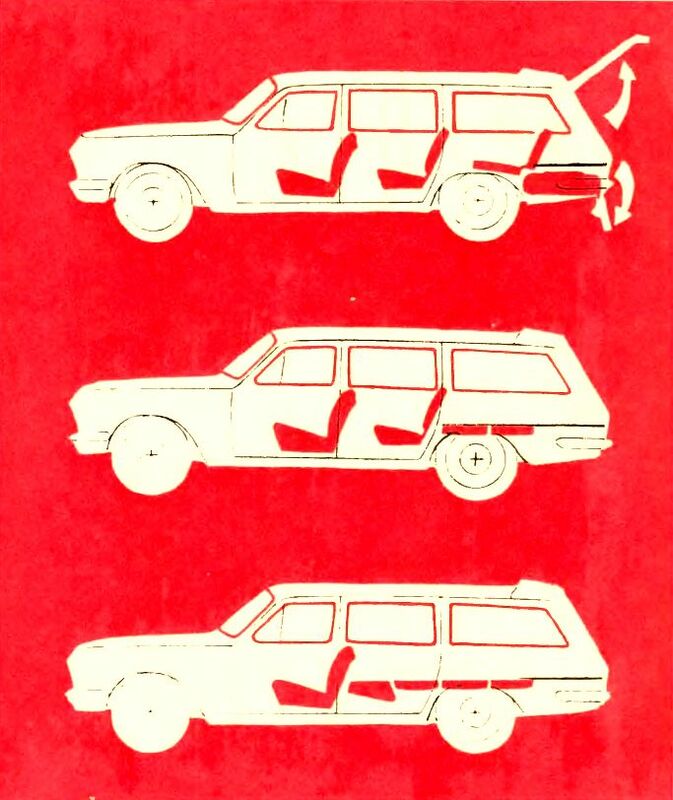 In 1986 the updated GAZ-24-10 got a brand new interior, which, while still lowly compared to the “brougham” GAZ-3102 Volga, had many of its pieces derieved from the latter’s parts bin and, all in all, was well up to the 1980s standards in terms of look, ergonomics and convenience. Dashboard was now hard molded plastic, with a center console. Instruments and controls were radically improved. 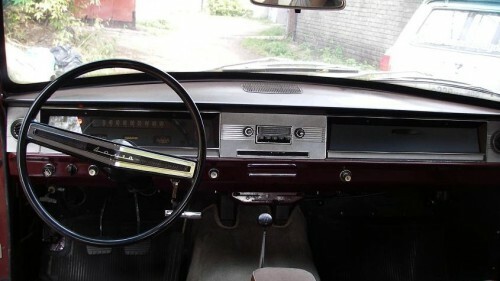 The only common part shared with the old style dashboard were the push-pull type switches and knobs. Upper sections of interior door panels were soft molded plastic, with matching armrests from the Lada parts bin. Lower sections still were vinyl-covered and color-keyed to the interior. Kick plates were now black plastic. Separate front seats were also brand new, bucket type, with side bolsters for better lateral support, adjustable headrests and height adjustment. Velour upholstery was offered in higher trim levels.